Dhanush's Maari trailer to entertain you from coming Thursday. After releasing the chartbuster songs along with teaser, Maari makers have planned to unveil trailer on 25th of June. 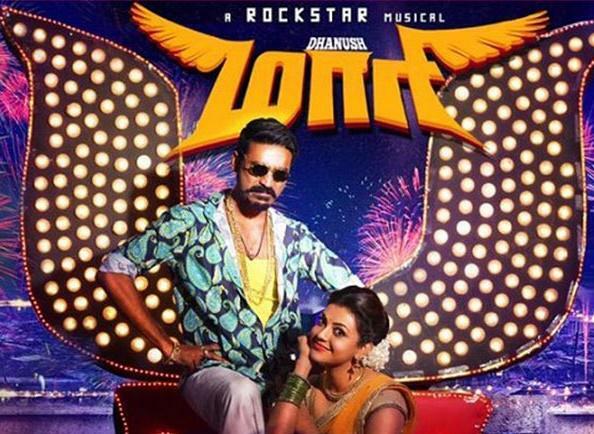 Maari is an Anirudh Ravichander musical, directed by Balaji Mohan. Actor-producer Radhika, Sarathkumar along with Listin Stephen produced Maari with the likes of Kajal Aggarwal opposite Dhanush. Magic Frames and Wunderbar Films jointly presents Maari is slated for grand release on 17th of July. Simbu's Vaalu and Salman Khan's Bajrangi Bhaijaan are the two other films to give a tough fight to Maari at the Box Office.